Questionnaire: Do You Save Energy in the Office? 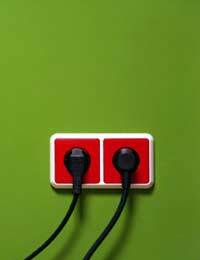 Home > Questionnaires > Questionnaire: Do You Save Energy in the Office? As office based business activities account for 6.8 million tonnes of CO2 emissions a year, you have a responsibility as an employee to help reduce the environmental impact caused by your 9 to 5 activities. To assess your level of commitment, why not try out our handy questionnaire. (A) Close down your workstation completely and take out all plugs, make sure that your colleagues do likewise. (B) Leave the workstation on at all times because it saves time and effort. (C) Leave it on the screensaver whilst going for lunch or a coffee, as this is supposed to save on energy, and then shut it down completely in the evening and at weekends. (A) Bring a cafetiere into work and make a pot of ethically sourced coffee for as many of your colleagues as it will accommodate. You also insist that everyone uses their own mugs. (B) Fill the kettle to the top and boil the water for just your own cup of coffee. Afterwards you put the cup in the dishwasher and then switch it on. (C) Use the coffee machine but insist on reusing the same plastic cup, which you rinse out with cold water. (A) Get out your sack of organic woolly winter wear and distribute the warm clothing to any colleagues that are feeling a chill. (B) Take the initiative and turn up the thermostat. (C) Put on an extra layer of clothing. (A) Wear light airy clothing, keep the windows open and make sure the heating is all turned off. (B) Open all the windows and turn up the air conditioning to full blast. (C) Keep cool with a desk fan and by opening up the windows. (A) Open all blinds to maximise natural light. (B) Close all the blinds and turn on all lights. (C) Only switch on lights that are fitted with energy efficient light bulbs. (A) Move home to a flat on the same street as your workplace so that you can commute on foot with great ease. (B) Make up time lost through the longer commute by driving your SUV faster. Don’t worry about fuel expenses because you can just charge them to the company. (C) Travel to your new work via train. (A) Set up video conferencing technology so that the meeting can be conducted virtually without anyone leaving their own office. (B) Get all attendees to drive to your office to conduct the meeting. Anyone further a field should be encouraged to fly. (C) Check to make sure the meeting is essential and if so then choose a location that requires the least combined travel from all attendees. Also encourage everyone to travel by train. (A) Firstly make sure you are printing on recycled paper, and then print on both sides of the page only the pages you need. Once complete you switch off the printer. (B) Choose to only print the pages you need and then print them out using both sides of the paper. (C) Print out two copies of the whole report – one to use and one to file away. (A) Naturally recycle what waste paper you come across appropriately but ensure as little paper is used as possible in the first place by pushing for the introduction of a ‘paper free’ initiative. (B) Not only dismiss the prompts to recycle paper as a waste of employee time but deliberately dispose of your waste incorrectly so as to sabotage the system. (C) Dispose of your paper waste correctly. If you answered with mostly As: you are clearly a fiercely passionate green office campaigner. Your commitment is undeniably laudable and exemplary but you must still be careful not to rub your colleagues up the wrong way. If you answered with mostly Cs: you are clearly very conscious of the need for environmentally aware actions and are taking commendable steps to reduce your impact. However, there are still areas where there is room for improvement. If you answered with mostly Bs: you view on the environment and environmental action is ignorance bordering on contempt. You need to start taking responsibility for your actions before it’s too late. Questionnaire: How Green an Employee Are You?